As announced in Monday’s post, Novus Prime, the multiplayer space combat shooter exclusive to PlayStation Home, is receiving a massive update this week. This huge expansion – entitled Novus Prime: Escalation – features new missions, enemies, weapons, companion bots, avatar items, leaderboards, voiceovers, a completed pilot outfit, a new personal space with zero-gravity simulator, and tons more. Head to the Novus Prime: Escalation space this Thursday, March 31st and get in on the action! The PlayStation Home Mall’s shelves will be lined with new items starting this Thursday. Check out this video for a look at some of the new items coming soon to the PlayStation Home Mall. Spring is in the air and Lockwood Publishing is offering new additions to their Cucumber furniture range, bringing everything you need for your next backyard event. 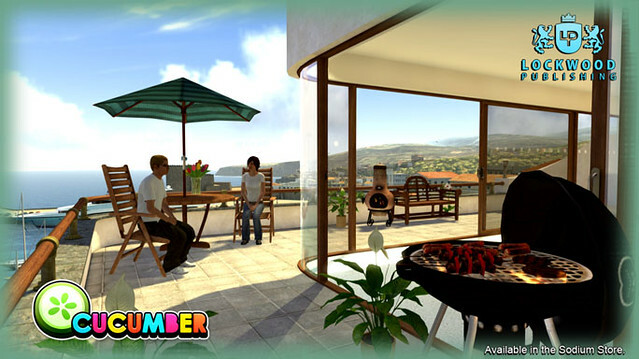 Their J’Adore Outdoor Garden Furniture is perfect for those of you who are looking to make the most of the beautiful weather in PlayStation Home. Check it out! Those of you that own the Sunset Yacht are in for a treat this Saturday, April 3rd, when LOOT and Fuel TV host a very special live event, accessible only via this popular personal space. 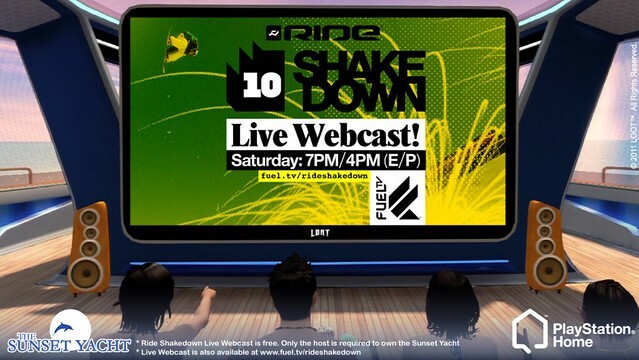 Beginning at 4:00pm PT (7:00pm ET), a live stream of the Ride Shakedown 2011 snowboard competition – one of the most exciting and highly-anticipated extreme sporting events of the year – will be broadcast on the Sunset Yacht’s big screen. Round up your friends and set sail on the Sunset Yacht this Saturday to take part in this exclusive PlayStation Home video event. This week in the PlayStation Home Community Theater, Urgent Fury dives deep into Killzone 3 and serves up a full review of this hit FPS while the guys and gals over at GamerIndepth present the 10th episode of their ever-popular “ShoutOuts” which focuses on the latest and greatest from the PlayStation Home community. Log on this Thursday to check out these exclusive videos and more – only in the PlayStation Home Theater.